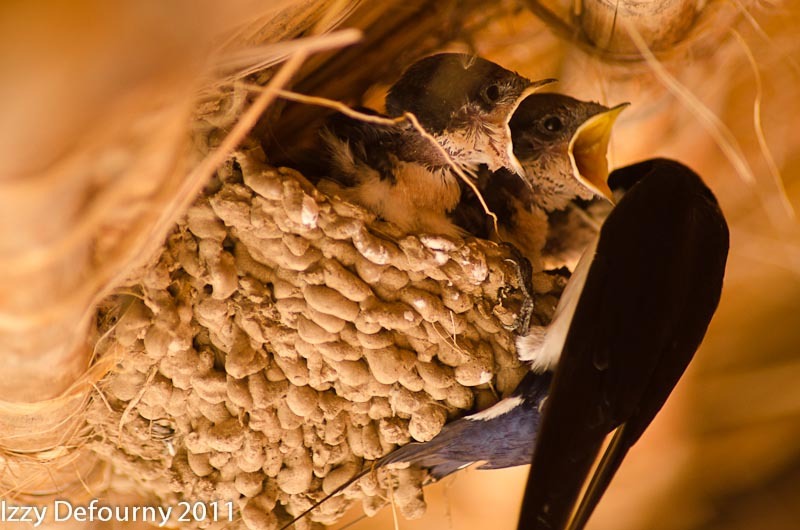 Half of the season has already gone by and wildlife is simply abounding. 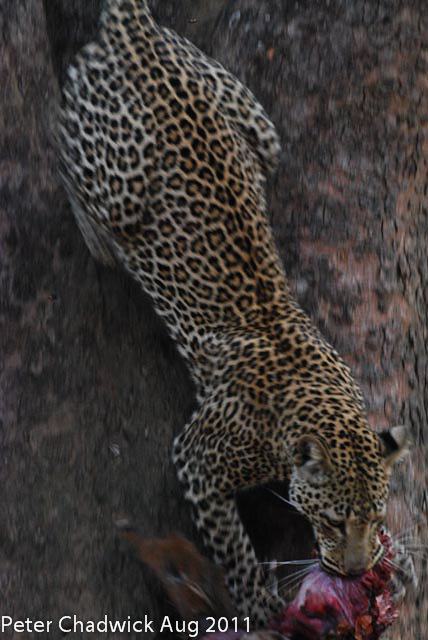 From camp opening till now, guests have been blessed with exciting action, either on drives or on walks, and some spectacular sightings. 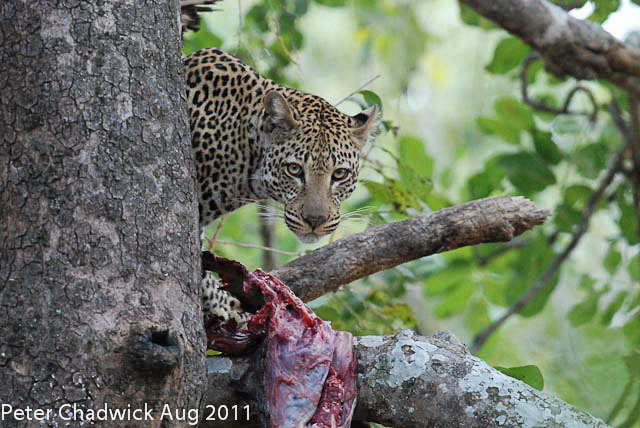 They have witnessed two actual leopard kills, and many more failed attempts; numerous feasting times for both leopards and lions; several cross-species encounters and fights: mom hippo defending her calf from a hotheaded lion, hyenas steeling meals from leopards, crocs vs fish eagles, geese vs storks, baboons vs puku fawns, and of course there is always plenty of yawns and teeth to be seen at the hippo hide. Lions, leopards and hippo mating session are too numerous to recount. And for those few super lucky guests there really has been some once in a lifetime jiffies: 2 different wild dog sightings, one aardvark appearance, one serval posing for a photo shoot, new born lion cubs, and two different sets of leopard cubs! 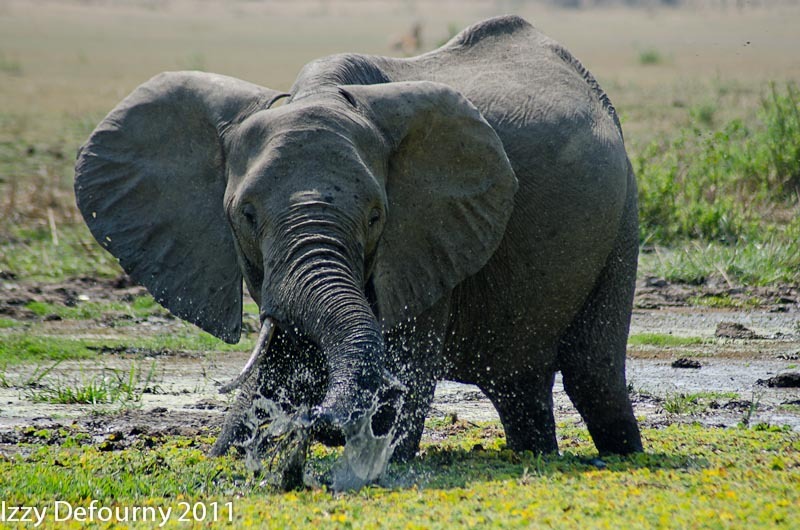 As the bush becomes dryer and dryer, we can only anticipate the game viewing to get even better, to our greatest delight! 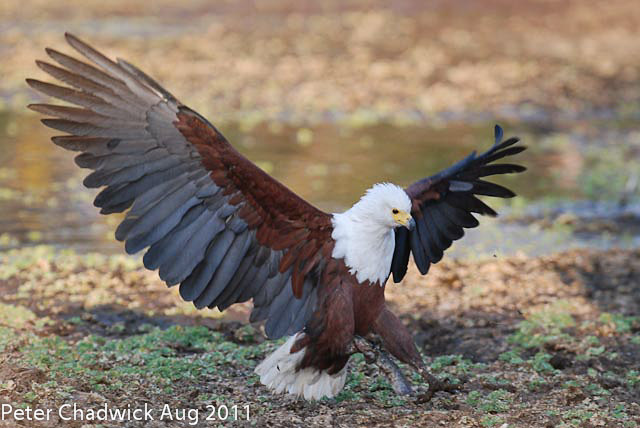 You can read more about the various sightings on the blogs regularly posted on the website. 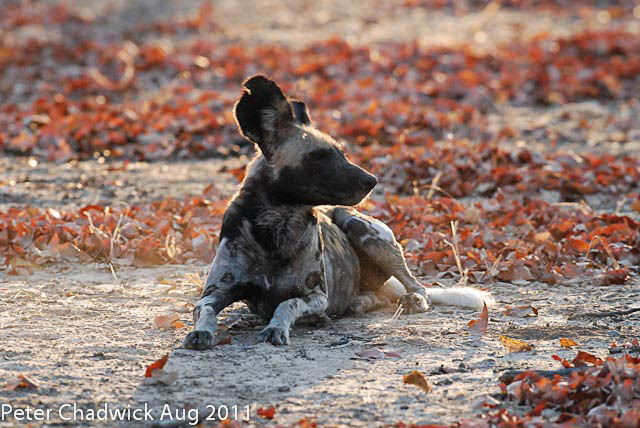 But here are the pictures of the wild dog and of the serval, both from our guest Peter Chadwick. Jules and the girls have been spending most of their time in Lusaka, with 3-year-old Saphire making her school debut on August 18th. They are all healthy and doing well, although longing for their return to the bush. Derek is visiting them when he can, enjoying the time with the family in Lusaka while doing the shopping for the dry goods needed in camps. Mostly based at Kaingo though, he has been doing a lot of guiding and occasional mechanical fixing. Repositioning of the various mobile hides is a constant passion, and he is now impatiently waiting for the carmine bee-eaters to choose their breeding site on the banks of the river, in order to install one of our favorite hide which will give our guests amazing photographic opportunities of these colorful birds. Any day now! On the subject of photography, we would like all our guests, past and future, to make sure to send us their favorite shots captured while at Kaingo or Mwamba, as we like to feature them in our newsletters, blogs and on our website. Starting in September, we will also select one picture to be our “picture of the month” that will be posted on the home page of our website. Pictures should be sent in low resolution (1000 x 800 dpi / 100kb) to info@kaingo.com. 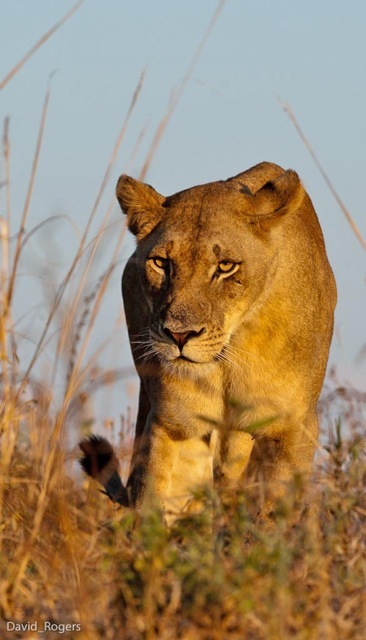 I have had the privilege to go out on a few game drives which have produced a few interesting pictures, although I know that our guests out there have got some really stunning shots worth the cover page of Africa Geographic and the likes. We are anxious to see those! In the meantime I’m afraid a few of my humble ones will have to do. Talking about Africa Geographic, we had the pleasure to host renown South African photographer David Roger earlier this season, along with 5 guests attending David’s workshop. David has written a short piece about his few days here at Kaingo, and it is featured below, with a few pictures. 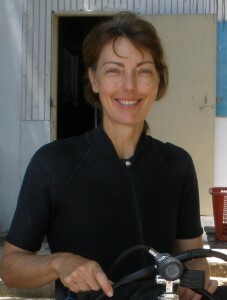 An additional contributor to this newsletter is Debbie Gadd our excellent caterer and host at Mwamba Bush Camp. 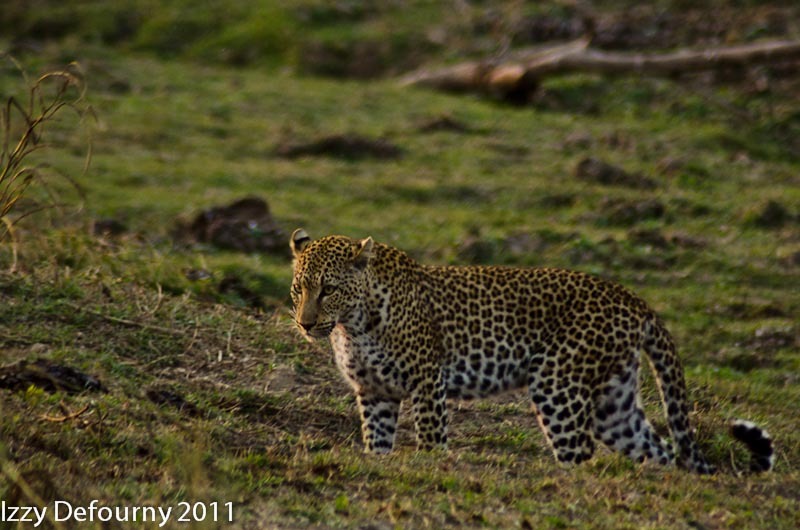 Debbie narrates here the first few weeks of living and experiencing the bush at Mwamba. You can also find more of her blogs on the website. 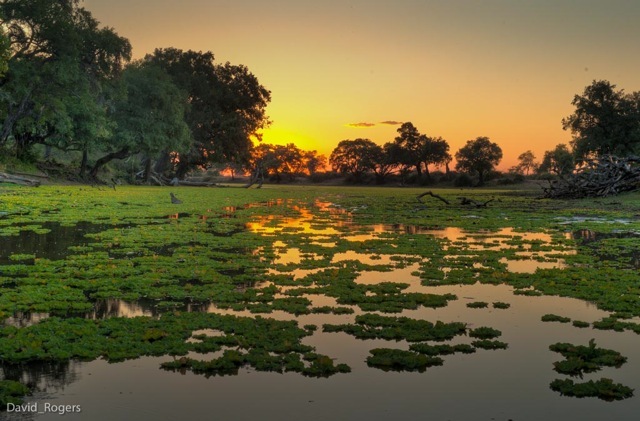 Finally, we would like to make a special mention to Ondine and Peter Chadwick, return guests to our camps, and generous contributors to Project Luangwa and the local community. Originally from Australia, Ondine and Peter are currently based in the Middle East, and Ondine spends a lot of her energy doing crafts with local ladies to fundraise money which is in turn invested in the local communities and school around Mfuwe. 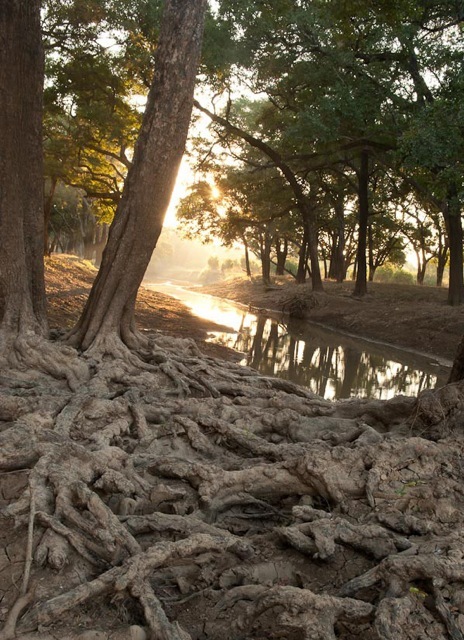 This August, Ondine and Peter spent 12 adventure-filled days with us, and visited the various programs currently under way with Project Luangwa. While Peter has shared some amazing pictures with us (see above and below), Ondine has written a very sweet poem which you can read here below. Thank you dearly to you both. As I sit in here in my “Office Africa” I look out the window and across the river, and in the low rays of the late afternoon sun, I see a giraffe slowly foraging, stretching her neck to reach those last green leaves. 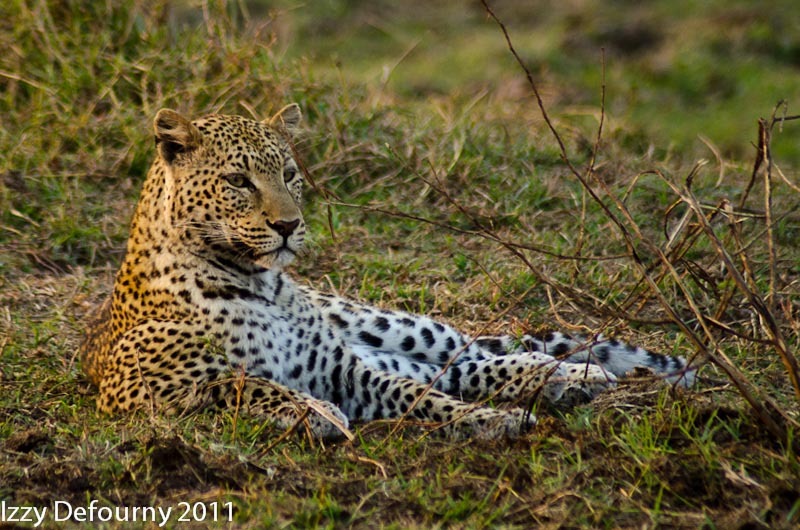 The African bush is truly an amazing place to be. 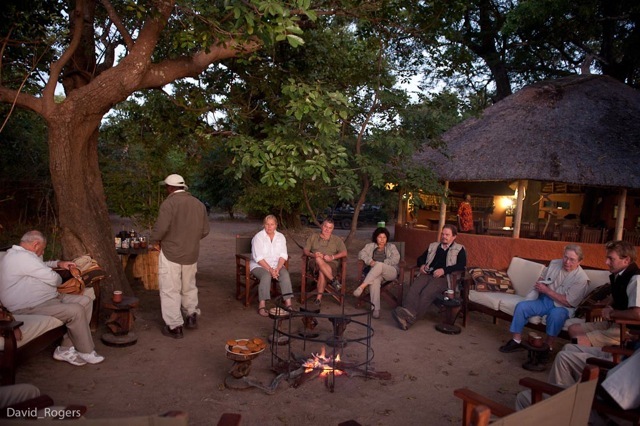 It was great to be back to Kaingo in 2011 with a group of Africa Geographic readers. My first visit to this camp was in 1995 while working on an assignment for Getaway magazine. 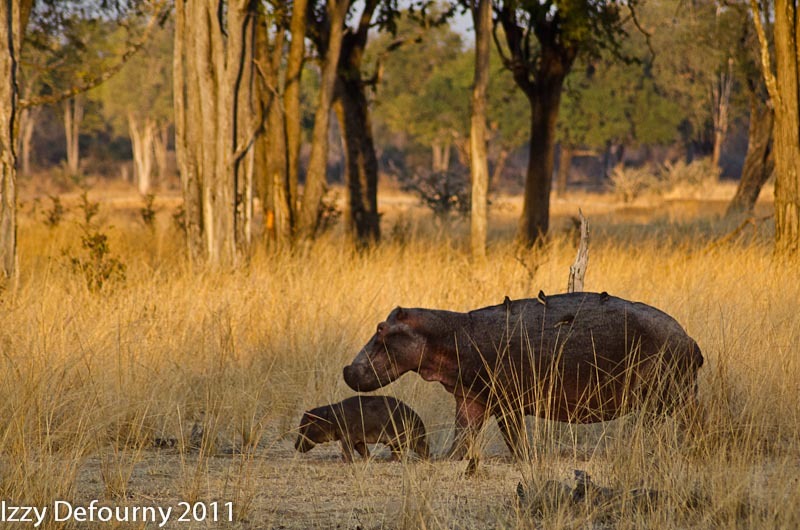 I have returned many times and it remains one of my favourite areas of the Luangwa Valley. 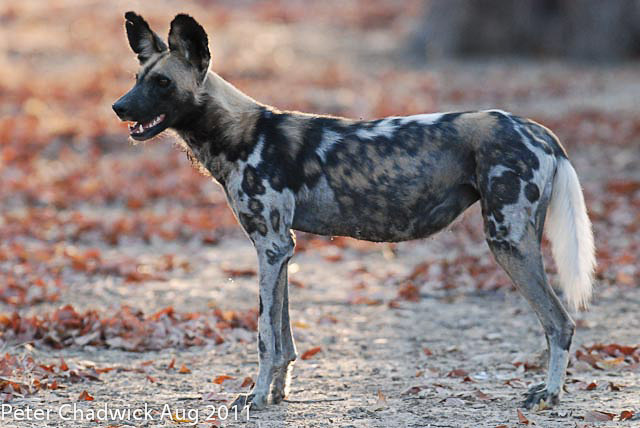 Kaingo is located in the northern part of South Luangwa National Park far away from the more busy central parts of the park. It is in close proximity to a fantastic ebony grove which at more than two kilometres in length is the largest in the park. 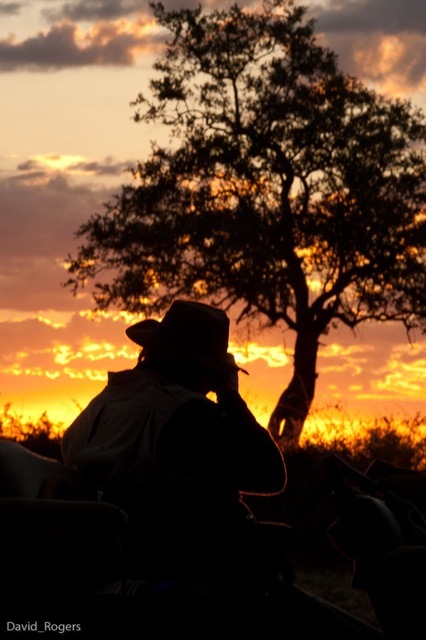 It is also close to Lion Plain, a vast virtually treeless expanse — a fantastic place for sunsets and general game viewing. Then there are the lagoons which are always a delight. Derek’s hides are without equal. 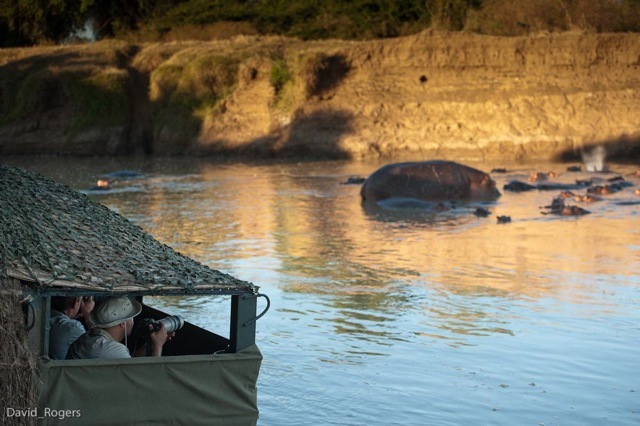 One is built into a bank of the river where you can view hippos as they squash up in hippo corner, another is a floating affair that is built to view carmine bee-eaters when they nest on the bank and the third is built high in a an ebony tree and enables you to watch elephants as they follow their traditional migration park across the Luangwa River. The guiding at Kaingo is excellent and it was great to be shown around by Patrick who has been at the camp for more than 10 years. A great person and an excellent guide. Highlights of this trip included some excellent birding (Pels fishing owl being a highlight and we were just in time for the chestnut bellied kingfishers before they moved off). We also had excellent lion viewing with members of the Mwamba prides sighted at various times near Lion Plain. We did not get to see the Hollywood Boys (three very large and impressive males) but I trust that they will be back in the area soon. Kaingo is a truly great place to be — thanks again for looking after us so well. The meals, the attention to detail and most of all the service were just wonderful. I also loved the new decks… a great way to spend an afternoon. ABOUT THE PHOTOGRAPHER. David Rogers www.davidrogers.co.za was born in Cape Town where he still lives. He went to school at Bishops (Diocesan College) and then to University of Cape Town where he studied English and Environmental Science. Thereafter he worked at Readers Digest in the Special Books Department on titles including the South Africa Guide to Game Reserves. 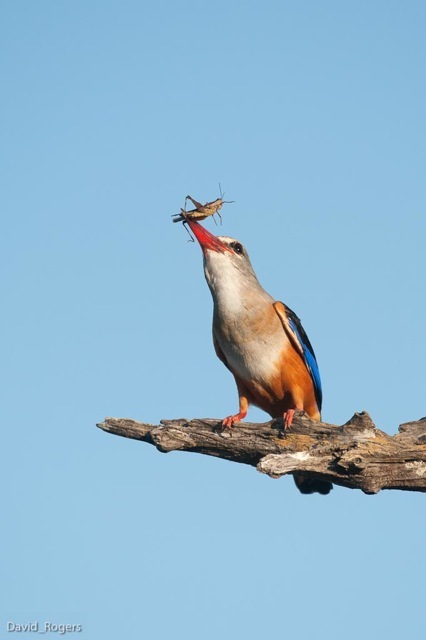 He freelanced for Struik Publishers on books on Kruger and Etosha National Parks. From 1994 – 2000 he worked as assistant editor for Getaway Magazine where he wrote more than 200 features, 24 covers, and won writing and photographic awards. Since 2000 he has been freelance and has since worked for numerous other publications including Africa Geographic, Geo, National Geographic Traveller, Sunday Times and others. 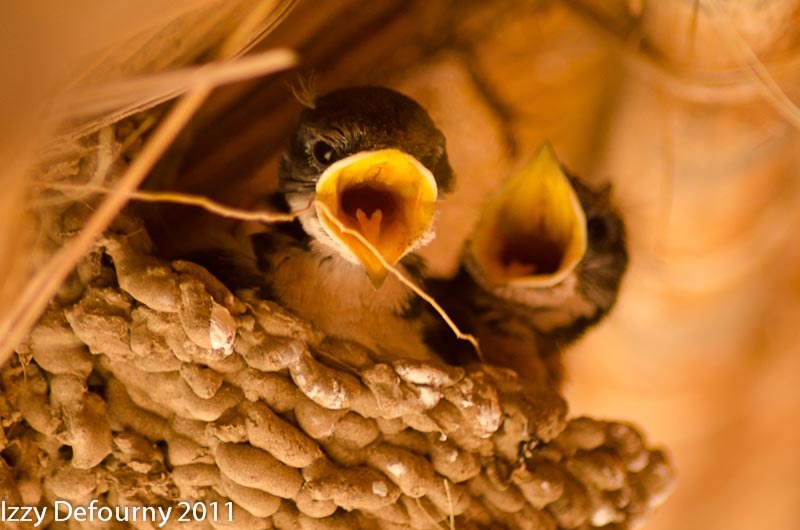 His photography specialty is lodges and he has written more than six books on the subject. A keen interest in teaching has led him to start leading workshops and also to run an annual lodge photography academy. Since Mwamba opened on the 1st of June, some things have changed & others have stayed the same, all set in the patterns and rhythms of the bush. The last rainy season was not as bountiful as usual & so the bush is drier but beautifully golden. 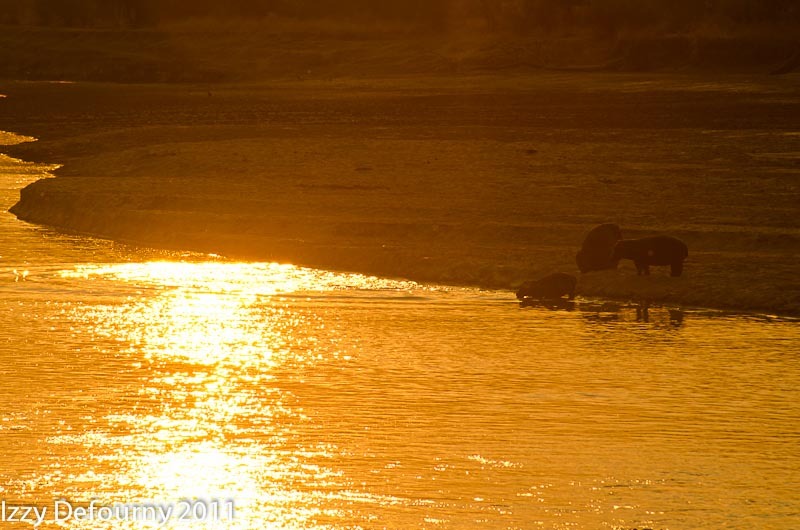 The Mwamba River has almost dried up in front of the camp but we still have some water in the pool at the hide. The animals and birds seem to be far in well enough with other sources of water at the moment & so we are waiting for the good game sightings at the hide, which we expect to heat up shortly. The long tailed glossy starlings start their day on time, every morning at 06h45 and as I sit writing this, I am surrounded by their chorus. 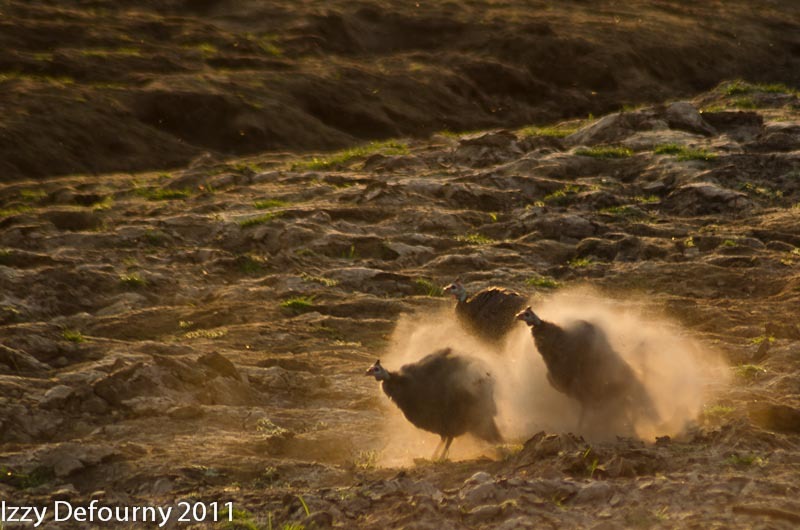 The kamikaze sound of their wings, as they take off en masse, is one of the joys of Mwamba. Our elephants have arrived in fits & starts, sometimes with their idea of fun and games, and sometimes to visit quietly and to drink the bird bath dry – the refreshing equivalent of an elephant G&T. They have been in camp the last two nights, chomping their way through what seems like, from the amount of noise, a forest of trees. Last night one of them broke a water pipe next to my house and so drained the water tank dry! So this morning, we had the generator working before wake-up-drums, to get some water into the tank for the guests and for the kettle. 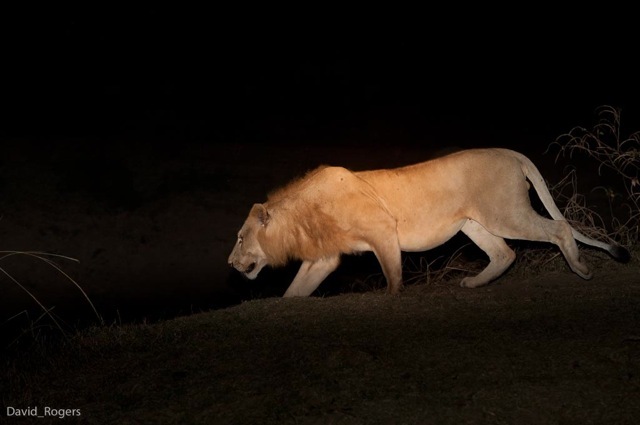 Lions have also popped in frequently in the last two weeks; one pride spent time playing in the dark between the kitchen and the staff quarters, keeping the staff awake. 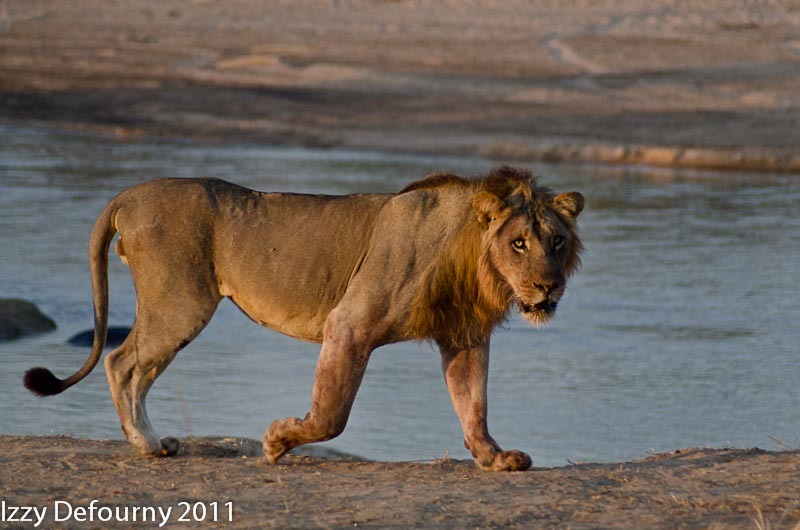 Two lionesses walked across the front of camp, on the other side of the river, three afternoons ago and were followed in the early hours of the next morning by a male who walked through camp, calling and calling. Four giraffes have just wandered unhurriedly on to the open area across the stream, graceful and stately, wth the morning sun picking out the cream between the dark patches. Even the swishing of their tails holds an elegance that is uniquely “giraffe”. 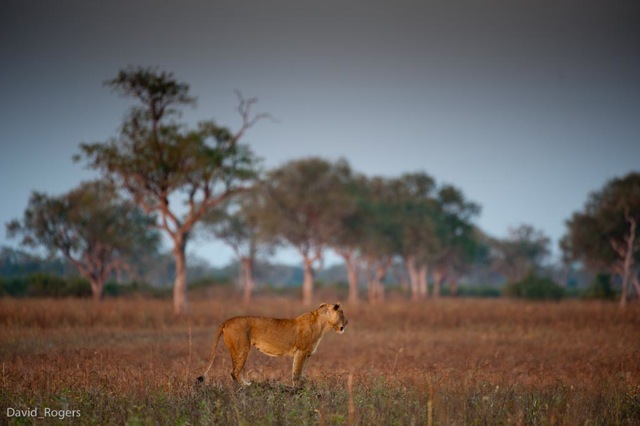 Our normal camp followers – the puku, impala and baboon, have been keeping a low profile since the lions arrived, too wary to come and crop our “lawn”. They will be back. Overall, our first two months have been spectacular and we have had wonderful people come to visit, people who have become friends. You can’t ask for more than that. 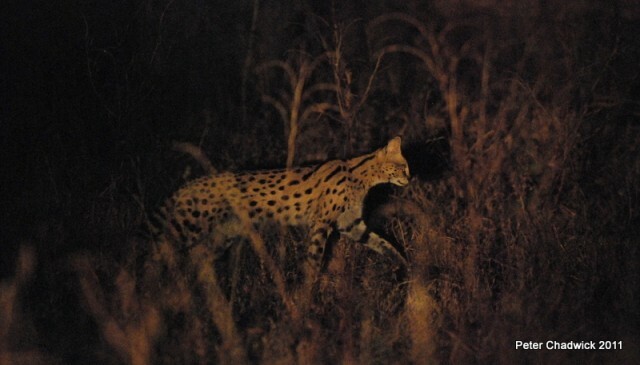 (*) Since Debbie wrote this piece, it has been confirmed that Kylie, the leopardess, has indeed at least 1 cub as some lucky guests have witnessed! 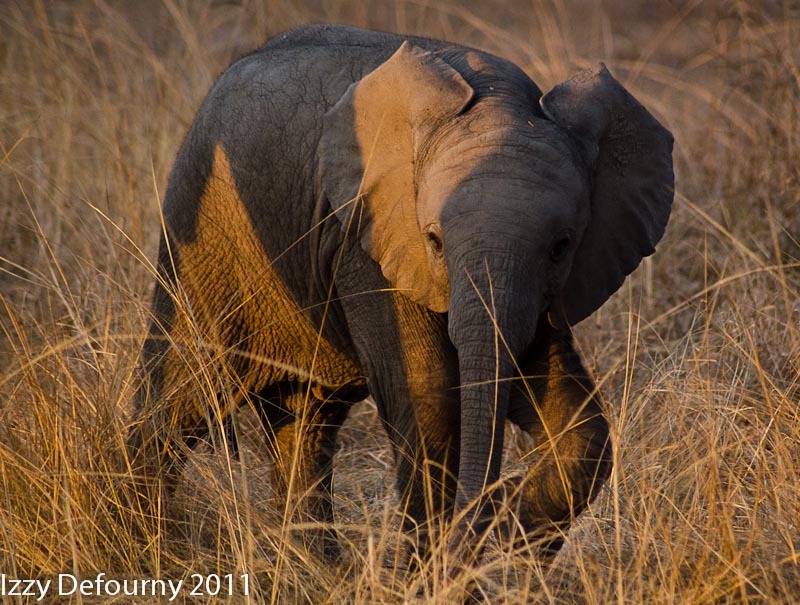 Our latest South Luangwa safari is hard to believe! A new born Puku and a bleeding Chameleon we saw! 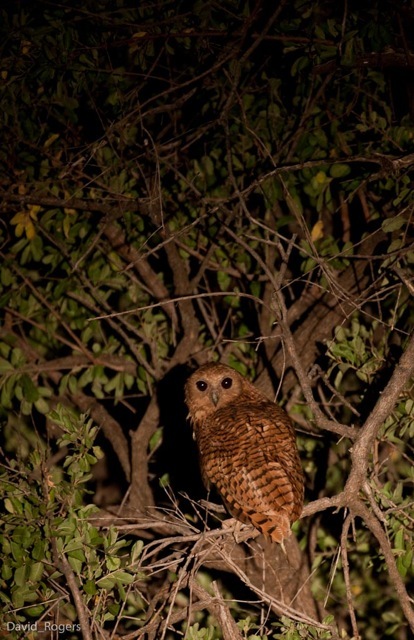 Pel’s Fishing Owl, Wild Dog and Serval, others heard with envy! Singing and dancing – they must have thought we were mad! Too much good food, the mirror did tell! More – we could not ask for!